There’s always something happening at the DHDC. 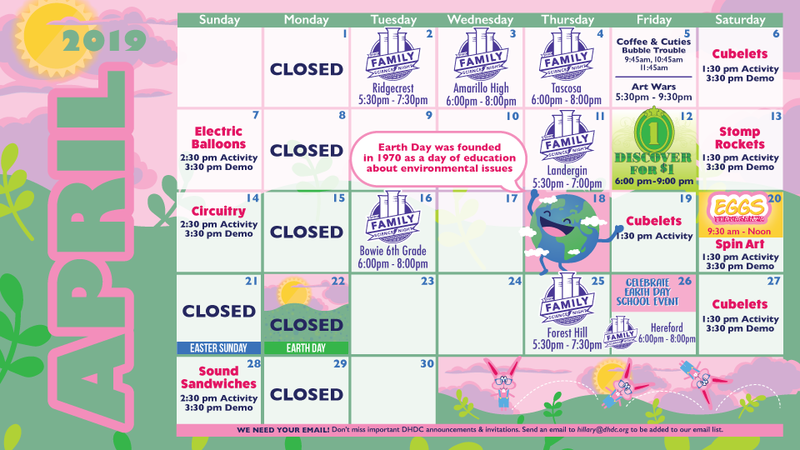 Each month, we publish a calendar that includes everything from events, to special programs and Science Studio activities, to school Family Science Nights. Our members get our monthly calendars mailed to them directly, but you can also view and download a copy here. Need a better view? View and download the PDF.